For staff of multinational companies who want to translate a simple phrase or word, systems like Google or Microsoft come in just handy. They help you order a taxi in Japan, pay your restaurant bill in France, and impress your clients with a hearty “jó reggelt” (“good morning”) in Budapest. The problem is such tools are notorious for imprecise translations and data leaks. Would you really want to use Google Translate for that internal email to your affiliates in another country? On the other hand, research from the European Parliament shows that on average a common language increases trade flows by 44%. So, how do you – and your staff – hack through language barriers and achieve professional communication in the business world? Machine Translation users care about quality and performance. Based on our own observations and the feedback we’ve received; the quality of our Neural MT is impressive. Evaluating performance is a stickier subject, but we’d like to dig our hands in and present our innovations and achievements and how it benefits NMT users. By performance we mostly mean the manner in which a system performs in terms of speed and efficiency in varying production environments. It is important to note that performance and quality in Neural MT are tightly connected: it is easy to accelerate a given model compromising on the quality. Therefore, when evaluating performance improvement, we always check that quality remains very close to optimal quality. Since switching to NMT at the end of 2016, we’ve invested our R&D efforts into optimizing our engines to be more efficient, while maintaining and even improving translation accuracy. Our latest, 2nd generation NMT engines, available in our latest release of SYSTRAN Pure Neural® Server, implements several technical optimizations that make the translation faster and more efficient. The first generation of neural translation engines was based on recurrent neural networks (RNN). This architecture requires the source text to be encoded sequentially, word by word, before generating the translation. Is Your Team Violating Data Compliance Laws? Data leakage and lack of information are two critical issues that can harm businesses. 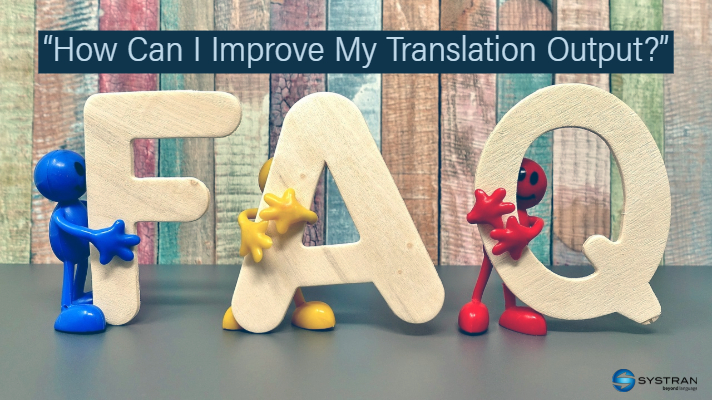 Nonetheless, due to the ever-growing global marketing and communication needs, the temptation to use the fast and free online translation tools are rising. Apart from the apparent dangers that these tools pose to businesses such as miscommunication, loss of business, and cultural insults, there is critical important threat that many enterprises often fail to recognize. Whenever an employee uses a free online translation tool, they may cause massive data privacy breaches by making the consumer data searchable. Data breaches as such mainly happen due to employee negligence looking for quick machine translation, and it can often put millions of customers’ sensitive data at exposed on the internet. Companies thus struggle to find the right balance between enabling business and securing information. Without the capability of translating software, potentially hundreds, if not thousands, of employees could turn to free translation tools to get their content translated in turn making the content available online. As with many other skilled professions – accountants, doctors, analysts – technology is a time-saver. Translators now have the same benefit. In fact, commercial benchmarks show that neural MT helps translators post-edit at 2000 words per hour. Without technology, which is typically the case in the government, translators translate at 300 words per hour. Imagine the time-savings — the same 6000-word document can now be translated in 3 hours instead of 20. Additionally, SYSTRAN MT will retain the formatting of the original document, which further saves time. Our Neural Network just learned Syntax! Experience unprecedented integration of customer terminology with neural networks! SYSTRAN Pure Neural® Server, our state-of-the-art translation technology tailored for businesses, delivers quality, fast, and secure translations using Neural Networks and Artificial Intelligence. We have just added support for a unique feature that takes it a step further. Users can now add custom terminology to be used in their translation tasks. Seasoned users know about User Dictionaries in our previous rule-based and hybrid technology, but this feature was not fully implemented by the Neural Networks. Until now. User Dictionaries (UDs) are key in customizing translation to users’ needs by allowing them to determine their own terminology and ensure that it is translated as such regardless of context. They can also be used to disambiguate between a word with multiple meanings. In this case, translation profiles can be created that apply user dictionaries with the ambiguous term translated differently in each. For example, “mettre sous tension” would be translated from French as “to turn on” in a Generic profile, but a user could create an Aeronautical profile and add the entry to a UD as “to energize” and if needed create an Electronics profile for the term to be translated as “to apply power.” User Dictionaries can also quickly correct any translations that are not accurate for the user’s context. User dictionaries are primarily used so that industry jargon and brand, model and product names are translated accurately. In today’s accelerated globalization, booming e-commerce and customer service digitalization, the languages spoken by potential consumers come in hundreds. Global companies are faced with a problematic equation: while they might have centralized their customer service operations, it is still costly to recruit an agent for every language covered. It is nevertheless crucial to respond to customers in their native language quickly, efficiently and at minimal cost to achieve excellent Customer Service. It’s simple: translating client emails instantly, responding to them in their language just as quickly or automatically displaying the most common answers in FAQ databases in multiple languages is a real Game Changer. For global Customer Service teams, the response time in foreign languages can be divided by 10 after Neural Machine Translation implementation! Calls are reduced with increased usage of a multilingual online knowledge base and customer satisfaction is higher than ever! To guarantee complete security of your customer data, it’s absolutely key to rely on a provider that is able to provide the translation service on-premise or accessible via a private cloud. It is also true for internal support interactions. SYSTRAN also provide translation solutions for enterprise IT departments following a trend of global support services centralization, and allow them to manage technical support requests worldwide while ensuring user data security. 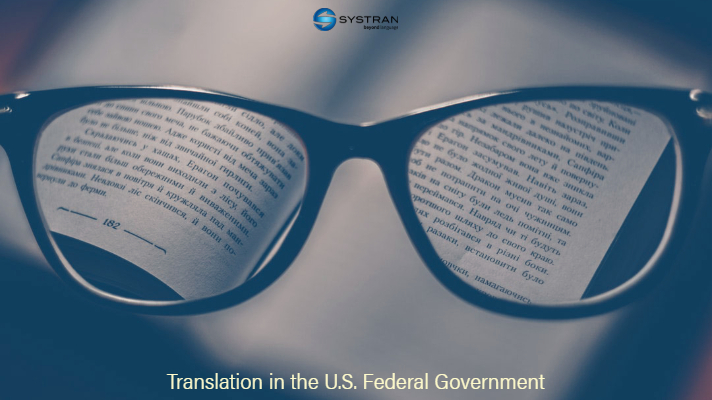 Whether you are using SYSTRAN’s Desktop, Enterprise Server, SaaS or online software, one question our IT Support is asked all the time is “How Can I Improve My Translation Output?” If incorrect or incomplete text or data is input into Machine Translation software, (also known as “garbage in, garbage out”) the outcome will, more often than not, also be incorrect or incomplete. Use complete, grammatical sentences – Sentences should always start with a capital letter and end in either a period, exclamation point or question mark. A complete sentence always contains a verb, expresses an idea and makes sense standing alone. Avoid the passive voice – The passive voice is used to show interest in the person or object that experiences an action rather than the person or object that performs the action. Punctuation is important; clauses will translate best if separated by commas – Punctuation is the feature of writing that gives meaning to the written word. An error in punctuation can convey a completely different meaning to the one that is intended. Try to use simple, declarative sentences – A declarative sentence makes a statement, is in a present tense, and ends in a period. These are the most common sentences in the English language. It can either be a simple or compound sentence. Avoid ambiguity – To avoid ambiguity keep your sentences short, start with the subject, then the verb and end with the object. Use words and tenses consistently throughout. Avoid abbreviations, acronyms, jargon and colloquialisms – An abbreviation or acronym should first be spelled out if there are to be used consistently in a document. Colloquialisms are informal forms of speech and should be used mainly for speaking and not writing. Abbreviations, acronyms and jargon can be added to your User Dictionary or Translation Memories. Use your Dictionary Manager – SYSTRAN software includes a feature called the Dictionary Manager, which allows you to create your own dictionaries to supplement or override the main dictionary that comes with the program. 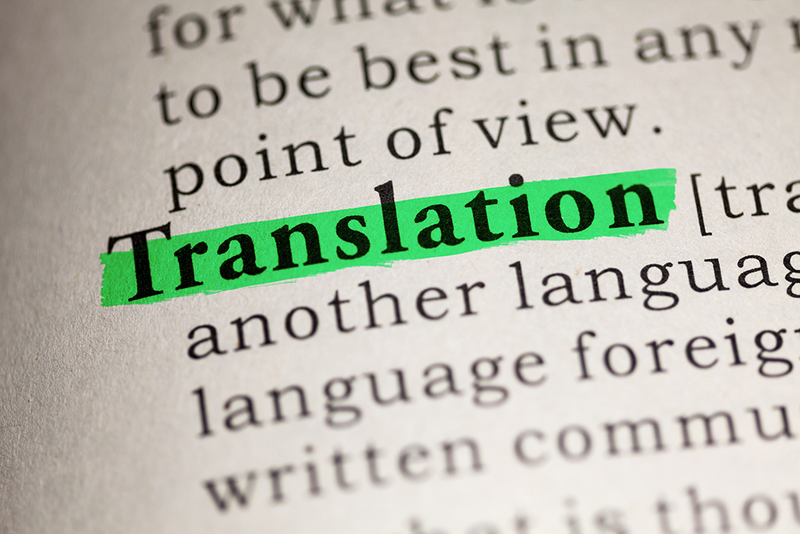 Using this feature can make substantial improvements to the translation. The accuracy of the translation varies with the input. If the input text is grammatically correct and unambiguous, it should translate well enough to convey the gist of what’s been written. By: Ashley Shuler, Technical Support Analyst and Brooke Palm, Director of Customer Care SYSTRAN Software, Inc. This was SYSTRAN Community Day’18! 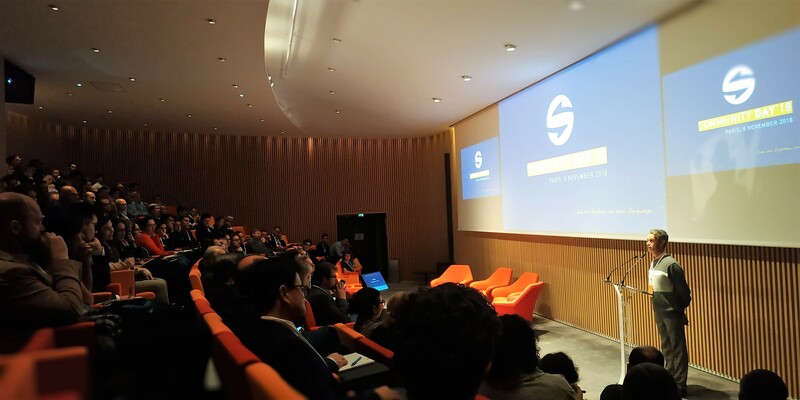 Jean Senellart, CEO of SYSTRAN France and CTO of the group opened the conference with a bold statement: the high quality of Neural Machine Translation has “commoditized” Machine Translation. As a commodity, NMT framework provides raw technology that needs to be refined, adapted and integrated for any industrial usage. 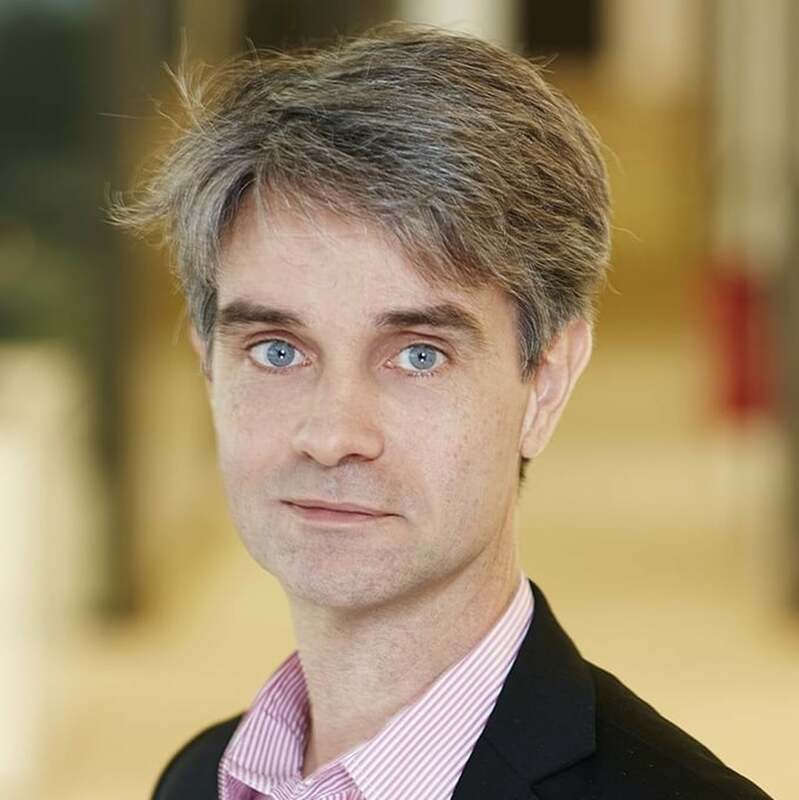 After a look at the available NMT open source frameworks, including OpenNMT, cofounded and actively maintained by SYSTRAN, he made clear that streamlined training processes and data quality are the most crucial points to industrialize high quality neural machine translation. Jean concluded his talk with the announcement of SYSTRAN marketplace, an open online platform where language experts have access to best of breed technology and framework to build, share, and sell language or domain models that can be accessed by industrial users. They will be able to select among hundreds of available models for any language pair and share feedback or evolution requests as per their specific needs. SYSTRAN presents its latest translation engines: huge quality & speed improvement! SYSTRAN Pure Neural® Server is our new generation of enterprise translation software based on Artificial Intelligence and Neural networks. It provides outstanding professional quality with the highest standards in data safety. Our R&D team, extremely active to provide corporate users with state-of-the-art translation technology tailored for business, just released a new generation of Neural MT engines. SYSTRAN new engines are developed with OpenNMT-tf, our AI framework using latest TensorFlow features, and backed by a proprietary new training process: Infinite Training. Since 2016, there has been a sharp increase in open source machine translation projects based on neural networks or Neural Machine Translation (NMT) led by companies such as Google, Facebook and SYSTRAN. Why have machine translation and NMT-related innovations become the new Holy Grail for tech companies? And does the future of these companies rely on machine translation? Never before has a technological field undergone so much disruption in such a short time. Invented in the 1960s, machine translation was first based on grammatical and syntactical rules until 2007. Statistical modelling (known as statistical translation or SMT), which matured particularly due to the abundance of data, then took over. Although statistical translation was introduced by IBM in the 1990s, it took 15 years for the technology to reach mass adoption. Neural Machine Translation on the other hand, only took two years to be widely adopted by the industry after being introduced by academia in 2014, showing the acceleration of innovation in this field. Machine translation is currently experiencing a golden age of technology.